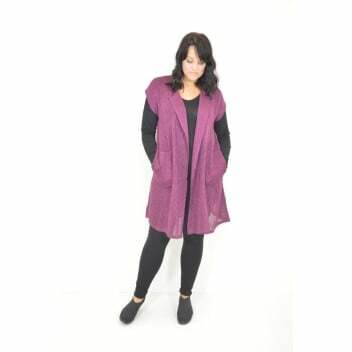 The Jonni vest has a relaxed and casual feel, and the long length is both flattering and elegant. The deep pockets and edge to edge shape are style features that add to this feeling. The colour choices here are bold and vibrant, sure to give any outfit a lift.